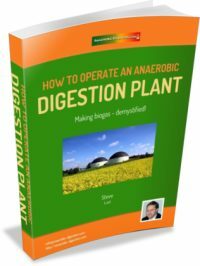 This ebook, which explains how to operate a biogas plant, titled “How to operate and Anaerobic Digestion Plant” is required reading for anyone planning a biogas plant for a farm, supermarket chain, food processing plant, market garden etc. If this is you, this FREE ebook is just what you need to get started. For some people who are just starting out in the biogas digester industry, this publication may be just the book to read to help you decide whether to go ahead with your own AD plant. While running a biogas plant is not difficult, it’s not just a matter of switching it on and forgetting about it until the next scheduled maintenance period ends. An AD Plant must be continuously carefully monitored, and adjustments made frequently to keep it running productively. One expert in the AD industry pointed out recently that for a farmer considering installing an AD plant, they should think of the plant as being “more like a cow than a tractor”. 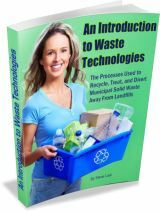 That’s why we produced our free ebook, and if the description of the person who needs to know, is you – and you want to operate a digester which is larger than just a home biogas digester – then you are in luck! How to Monitor a digester to maximise biogas production while retaining plant stability, and avoiding the pitfalls every biogas plant operator must take care to avoid. So, you want to know “How to Operate a Biogas Plant”! Click on the button below for your copy! Just click on the download link and you’ve got it!